Kidney stones are said to be the worst pain a body can endure. Some say it equals childbirth, others say it surpasses that pain. Some say it beats gallstones by a mile. Since I have only experienced childbirth I’ll have to take their word for it. I do everything possible to prevent experiencing either kidney or gallstones. Many different things can damage the kidneys. If you are experiencing any of these symptoms it might be time to practice some home health care before it gets bad enough that you need to see a doctor. All the ‘remedies’ have been shown to be safe if you are in otherwise good health. If you have any issues whatsoever it is always safest to check with your health care advisor before you try them. You don’t want to interfere with what you are doing for another condition. Lemon Juice, Olive Oil, and Raw Apple Cider Vinegar. This is one that comes up frequently, with different ratios and timing. The lemon juice and apple cider vinegar are thought to reduce the size of the stones, while the olive oil is thought to be a lubricant. Millet. Soaking these seeds in water gives you a ‘milk’ that is said to dissolve stones. After the milk is poured off you can cook the seeds like you would porridge for a hot, hearty meal. Asparagus. This green spring vegetable is packed with natural compounds, including glycosides and saponins that give it significant diuretic, anti-rheumatic and blood purifying qualities. Consequently, the regular consumption of asparagus is known to increase urine production, soothe the urinary system, boost cellular action in the kidneys and even dissolve the acids and salts that comprise kidney stones. You can smell the difference in your urine after one meal. Garlic. A proven antibacterial, antimicrobial, antiviral, antifungal and antioxidant, allicin is well-known for treating two of the main conditions that cause kidney disease, namely diabetes and high blood pressure. Watermelon. These fruits are low in potassium and phosphorus, which are two minerals that dysfunctional kidneys can have problems balancing. Secondly, they are comprised of approximately 92 percent alkaline water, which helps flush the urinary system of accumulated toxins (watermelon fasts can even dissolve kidney stones). Lastly, they help the liver to process ammonia and deliver it to urea, thus easing the strain on the kidneys while ridding the body of excess fluids. Kidney Beans. Actually it is a tea made from the pods that is helpful. Pomegranate. Whether you eat the fruit or drink the juice the sourness and astringent properties are what is thought to be helpful. Celery is full of potassium and works as a diuretic. 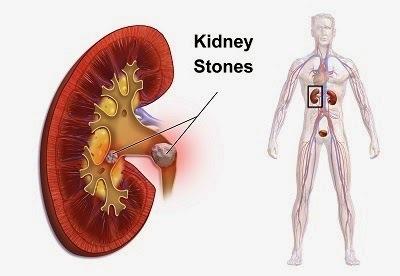 This could help flush the kidneys to prevent stones. Basil. Used in food, in teas, or as an essential oil this herb seems to induce stone expulsion from the urinary tract. Goldenrod. Goldenrod is a key ingredient in many traditional teas used to help flush out kidney stones and stop inflammatory diseases of the urinary tract. Goldenrod has been shown to possess diuretic, antioxidant and astringent properties. Bearberry leaf or Uva Ursa. Though there are two names this is the same thing. The leaves of this small shrub have been used as an herbal folk medicine for centuries as a mild diuretic and astringent, and in the treatment of all forms of kidney and urinary tract infections. Bearberry can help reduce accumulations of uric acid and relieve the pain of bladder stones by strengthening and imparting tone to the urinary passages. Stinging nettle. The leaf is used to soothe and treat urinary tract infections and kidney problems. Shatter Stone. It has been found to inhibit, and even dissolve, calcium oxalate crystals (the main component of kidney stones), the berry helps individuals sidestep the painful - and sometimes dangerous - experience of passing large stones. It also reduces spasmodic activity in the kidneys, bladder and ureter, which further assists in smoothly expelling stones from the system. Magnesium. It has been shown that magnesium keeps the minerals calcium and potassium in the bloodstream so the body can utilize them properly. This could eliminate a buildup of these minerals in the kidneys. With these many options you are sure to find something that works for you. In addition to this we always want to have as clean a lifestyle as possible. This includes the food we eat, the beverages we drink, and the cleaning products and personal care products we use. They all add up to our toxic load and put additional stress on our livers and kidneys.